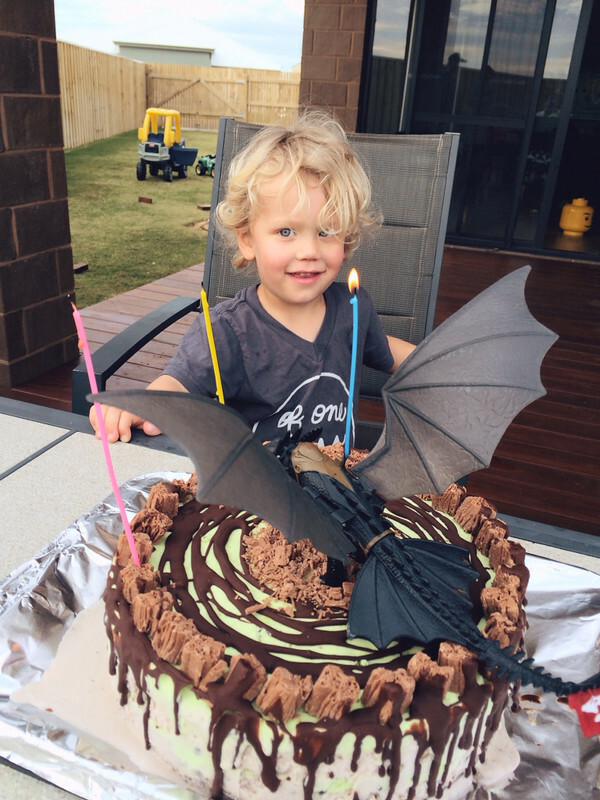 Ezra had his 3rd Birthday this week, and his cake request was a Toothless ice cream cake. If you haven't been introduced to the How To Train Your Dragon movies yet, then I'll explain that Toothless is the main dragon. 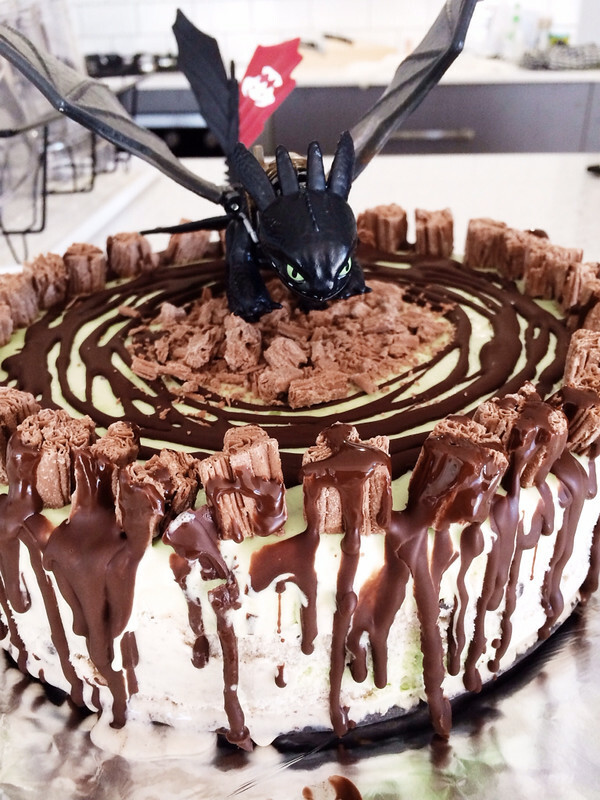 Ez is nuts about this movie, hence the request for a Toothless cake for his birthday. 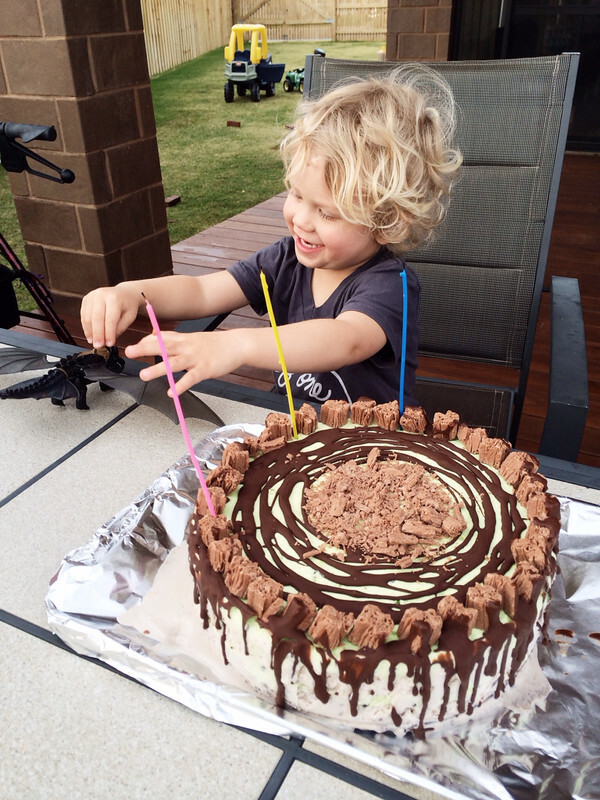 I have been pretty busy the last couple of weeks with the shop launching and everything that comes along with running a business from home with two toddlers, so I didn't have the time or energy for an elaborate cake making session, so I did it the easy way, But, I think it looked pretty good and the main thing was that Ezra Loved it! He was so excited when he saw the big cake and of course the dragon.There was no way I wanted to try and make a dragon out of actually sponge cake and icing, so I was secretly really glad that he'd asked for an Ice cream cake! All I did was buy two tubs of different flavour ice creams (I bought mint chocolate chip and cookies and cream) wait for them to start to melt and then layer them in a cake tin, taking time I between to re-freeze so your layers actually work! The next day, I pulled it out of the freezer, removed the cake pan and put it on a plate, then added some Flake pieces (the small pre-cut ones that come in the little bag) around the edge, then drizzled some ice magic (I haven't used that stuff since I was a kid, so many memories!) around the edges and did a swirly pattern on the top, I crumbled some flake to make a standing pad for the dragon! I popped it back in the freezer until cake time! 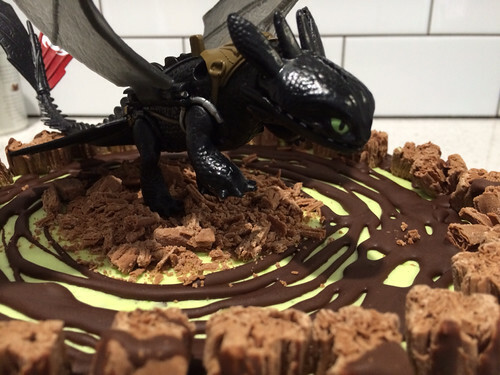 We bought a Toothless figurine from Toys R Us because I am not an expert at icing creations! Plus he gets to keep the figure! 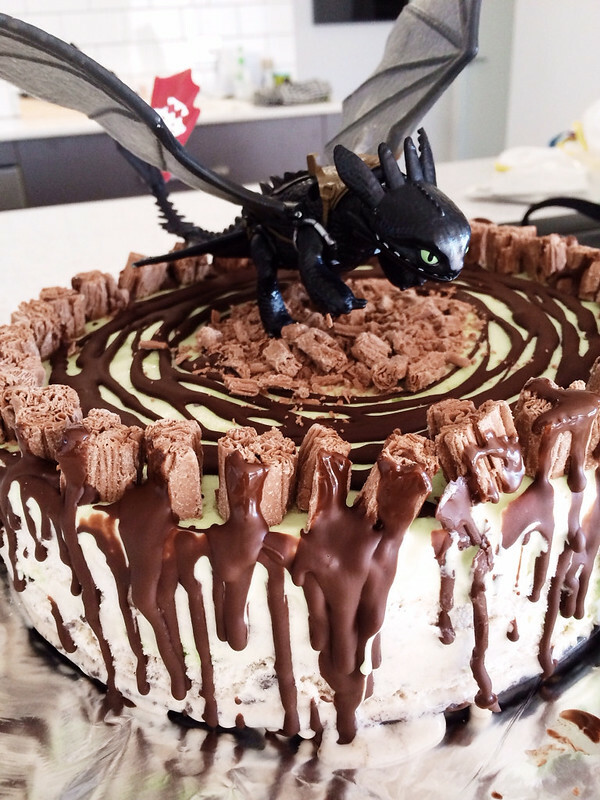 Anyway, if you have a Dragon fan in your house,and you are time poo and looking for an easy cake, then I hope I could help! !